I was a big winner on Twitter! 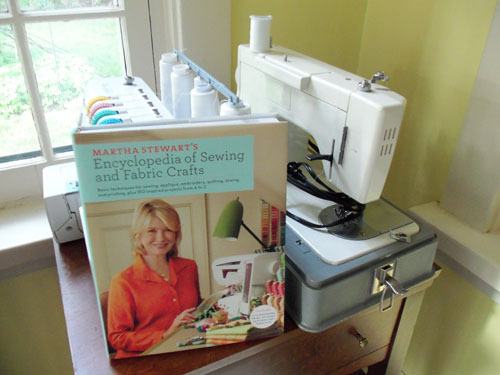 I entered the @CraftsDept #MarthaBlogger Sweeps and won this Martha Stewart sewing book! It will be put to good use! 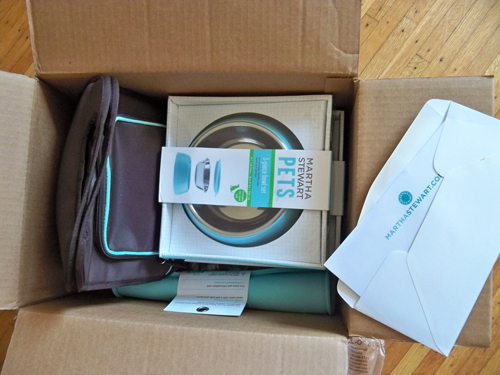 I also entered the @dailywag #marthablogger sweeps and won a box of goodies for Oscar! Oscar was beside himself with his good fortune. Aren't the colors nice? Now he can nom nom in style! Oh I have Martha envy! 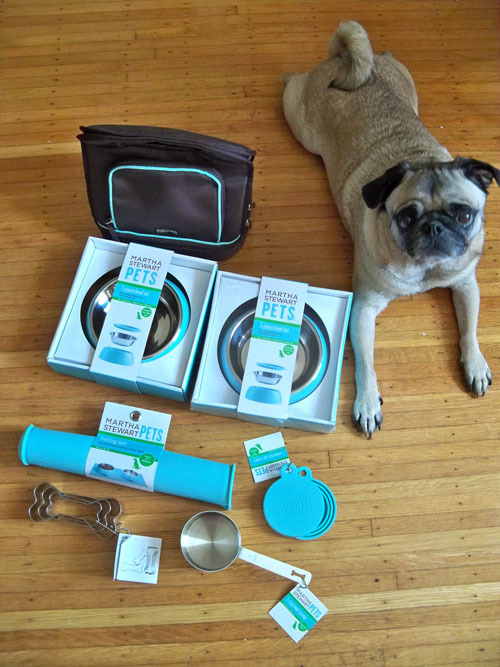 Oscar looks right at home with his new prize winnings. Congrats to you! That dog bone cut-out on the stainless steel scoop is a riot!! Hooray, more fun Martha stuff! Very cool. 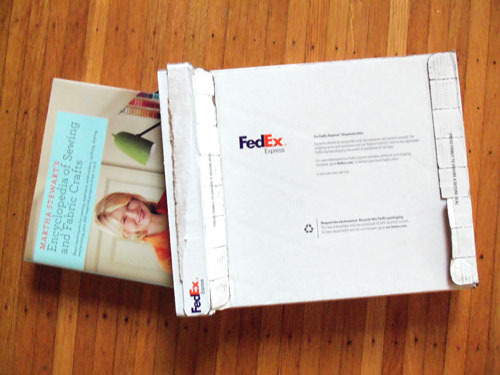 The Martha sewing book has some really great projects. I think the A-Z Craft book had more that were my "style" (haha) but I really like the sewing one too! Congrats!